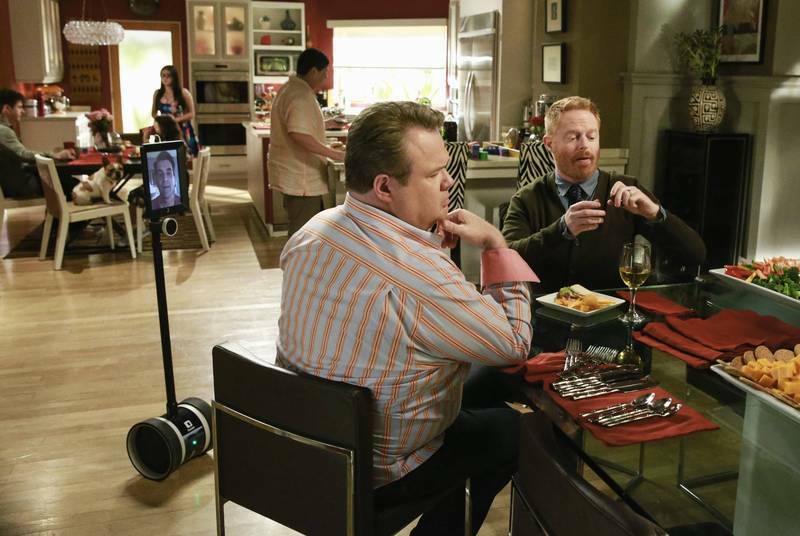 Double Robotics is in the season finale of Modern Family! Double is featured in the season 6 finale of Modern Family. It airs Wednesday, May 20 at 8 PM on ABC. Double Robotics is in the latest episode of Community! Double is on the latest episode of Community, presented by Yahoo! It is free to watch online. Please click the link below to view the episode. Niels Schuddeboom has written a blog about his experience with using a Double. For the majority of his life, he's been in a wheel chair. Although he's still able to get around, he thinks the Double brings on a new "naturalness in contact". "I had the feeling that I was really part of the group. When someone said something, I could turn toward that person and, during our dialogue in the midst of a collection of lively conversations, we could move aside a little so as to better understand each other. Just as you would in reality. By moving the arrow up and down on my Mac’s keyboard, the Double came to life in Leuven and slowly, but surely, moved to the other side of the classroom. I moved myself to the other side of the classroom. What a blast of fresh air!" To read the rest of it, please click here. Jake McEwen has decided to dedicate his senior project to home-bound students, like Jasmine Fatmi, an eight grader at Sebasticook Valley Middle School in Newport. With the help of a Double, he hopes to give them the chance to experience the school day with friends, which they’ve never had before. The project will give home-bound students another outlook, outside of their homes’ four walls, being a part of the community and essentially learning beside their peers. “Any student who comes to the district now, they don’t just have to be home-schooled now, they’ll actually be able to go to class with their friends,” says McEwen. To see the full article, please follow this link. Dr. Robert Lancey is a cardiothoracic surgeon at Bon Secours Maryview Medical Center in Virginia. He demonstrates how he uses his Double, visiting his patients and making his rounds around the hospital. Dr. Lancey uses his Double to visit his patients post surgery to check up on them and see how they are doing. Using his iPhone, Dr. Lancey is able to connect to patients whenever he wants. Just a quick note – we began shipping Audio Kits to pre-order customers on Tuesday. We're about half way through the pre-order list. They're being assembled locally in California, so we're getting more every day for the next week. However, we've had so many pre-orders that we've sold out the first batch of parts. The second batch of parts is already underway and will arrive in 3-6 weeks. We're expediting them as much as possible. New Audio Kit orders will ship in March. Double Helps School Save $20K! CESA 10, an agency based in Chippewa Falls, provides services for school districts. Last year it received a Wisconsin Department of Public Instruction grant to improve literacy of students with disabilities in the five school districts that include Bloomer and Lake Holcombe. The districts were selected for the program based on student achievement data. A trainer was flown in to help, and over a 10-day period the trainer visited the five districts. Webinars were also used. The trainer then flew out of Wisconsin. Lindamood-Bell told CESA about the robot program. So the agency switched to “Lucky” for its second year of grants from the DPI. “This year, with the robot, we’re spending less than $10,000,” Margenau said. 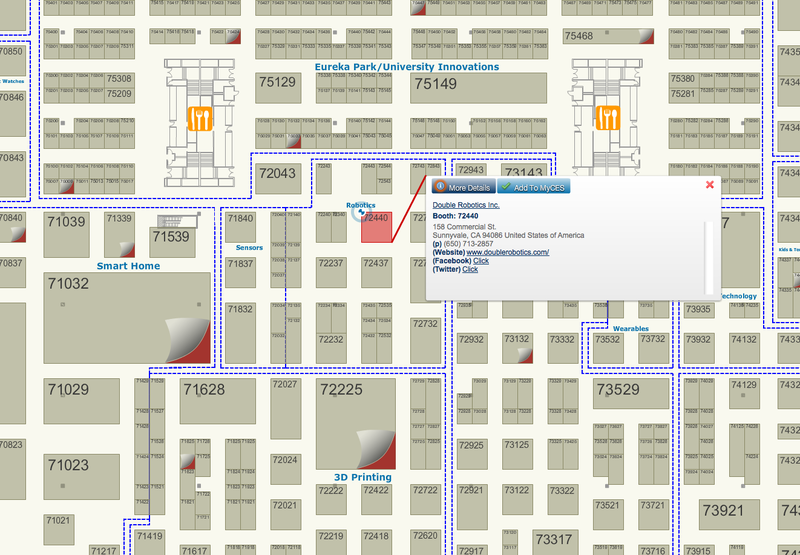 We'll be at the 2015 International CES January 6-9 in booth #72440. This is in the robotics "TechZone", next to 3D Printing, Smart Home, and Wearables. Come by and say hello, test drive a Double, and see our new accessory that we'll be announcing! VirtualSC is a free state-sponsored online program serving students currently attending public, private and home schools in grades 7-12 and Adult Education Programs. They are using Double to provide schools that need teachers specializing in certain subject areas. With the Double, these off-site instructors can help out in the classrooms without the hassle of traveling to the schools, especially those in rural areas. Currently, VirtualSC is testing Double out in two locations. "I feel like she was actually standing in front of us, as if she was here in real life and it wasn't like we were talking to a regular robot," says Toni, one of the Lead Academy students. 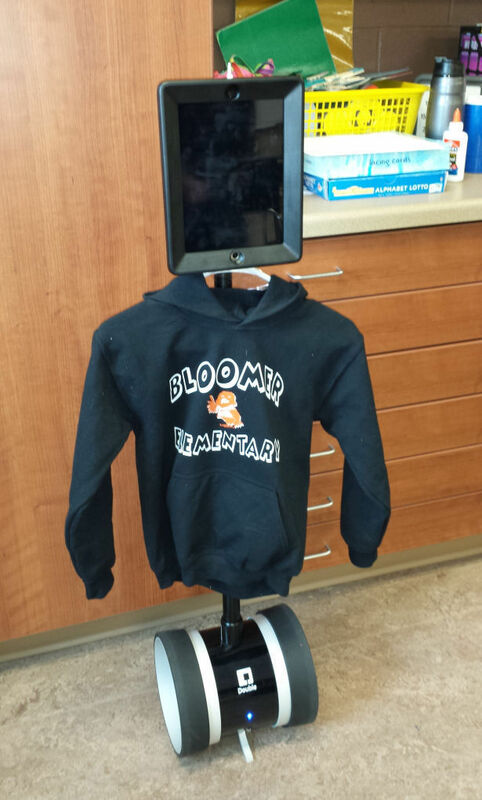 Rodney Johnson, a Lead Academy principal was delighted to see the robot in the classroom. "It was really neat and just seeing it move around the classroom really exceeded my expectations." If you ever visit Portalarium in Austin, Texas, you might see a Double roaming around. Richard Garriott, Portalarium's CEO & private astronaut, uses the Double almost every day to communicate with his team. From his home in New York, Garriott will call into his Double first thing in the morning and stay logged into his robot throughout the day. "It's so close to being there, that we often forget if for certain meetings if I was present physically or 'tele-robotically'," says Garriott. Executive Producer, Starr Long, believes that Double is the best solution for them. "It would be impossible to do our projects without something like the Double."